Today, HP announced that it will begin loading its PCs with its own webOS sometime next year. The Motorola Atrix 4G is a smartphone capable of docking and becoming an Android laptop. Windows Phone 7 is losing momentum. These are only the first trickles from the Windows dam, but it is cracking. Windows has ruled the PC world for more than 20 years, but times may be changing. 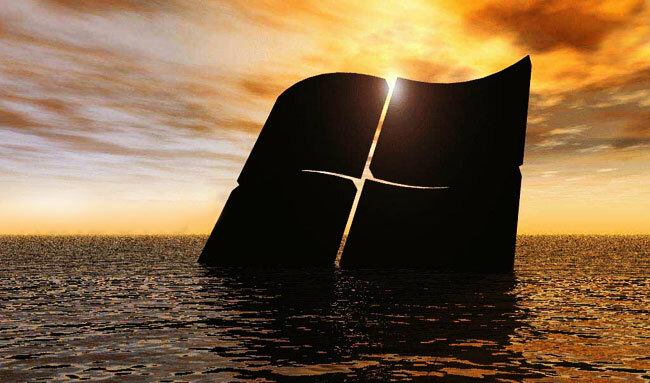 Here are five reasons why the Windows PC empire may be ready to burst. For the last thirty years, personal computers have been the heart of the computing experience. For a long time there was nothing else, and when connected gadgets started popping up, they all needed a PC to sync with and show them love. This is changing. While there are still plenty of devices that require a PC, the list is shrinking fast. A whole host of digital devices have begun becoming Internet aware without the PC. When’s the last time you needed to connect your Kindle to a computer? How about your smart TV? Manufacturers are finding ways to further untether their products every day. PCs are becoming a single unit in a large, networked, connected system of Internet-capable devices like tablets, smartphones, and smart TVs. The smartphone and tablet are the two biggest examples of this trend. In many ways, they are becoming more important than PCs, because they are on your person at all times. As we have continued to demand more out of smartphones, their app ecosystems have soared to unprecedented levels, offering hundreds of thousands of apps in one easy-to-find place. The iPhone hit shelves a little less than four years ago and it has bred change. Apple redefined the mobile computing experience with a full touch experience that let users easily browse the Web and perform a multitude of tasks that just weren’t as simple before it came out. 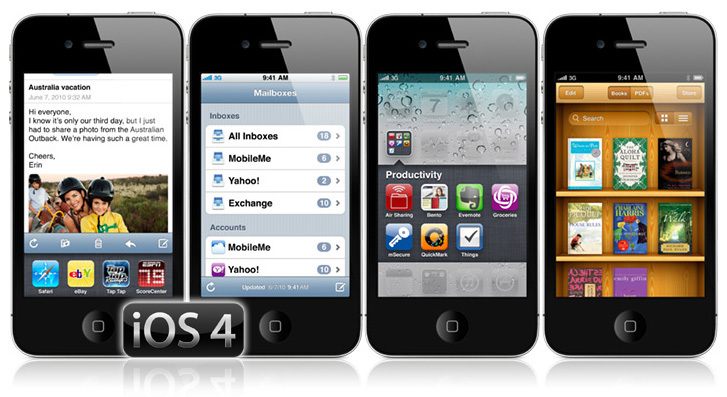 When it launched the App Store, the iPhone solidified its place at the top of the smartphone heap. Since then, Apple has continually added new capabilities to its bottom-up OS, which was based on some core ideas from Mac OS X. It took two years for Android, iOS’s first viable competitor, to spring up, but it has grown astronomically (888 percent) in the last year and a half. Tablets and touch devices of all sizes have sprung from Android. It and iOS have collectively kicked the rest of the industry into high gear. RIM has shown off a new BlackBerry Tablet OS based on new architecture, while HP has continued to refine and expand the role of its own webOS. Nokia is set to release MeeGo, it’s own custom new-generation OS, and even Microsoft released a completely redesigned OS called Windows Phone 7. This is likely only the start. Unlike the PC industry for most of my life, the smartphone and tablet industries have bred real, capable, competitive operating systems that are proving to be more useful than many of us ever thought they would be. Unfortunately, Windows is not a part of this growing smartphone ecosystem. While Microsoft continues to tinker and perfect Windows 7, it is largely the same operating system as it was when it was first released as Windows 95. The graphics have improved dramatically, as has its functionality, but there is little innovation coming out of Redmond in the PC realm. For the longest time, its familiarity was one of Windows’ strongest traits, but the tide of the market has turned against it. As touch-based tablets continue to rise in popularity, users and manufacturers are demanding new types of touch interaction on all their devices, and Windows 7 just isn’t up to the task. Microsoft tried to popularize tablet PCs a decade ago, but it hasn’t spent much time optimizing its OS for them. Windows 7 remains an unintuitive, clunky mess on touch devices. There are a host of relatively simple modifications that could improve the experience, but Microsoft doesn’t seem to be making them. Worse, the company is sending mixed messages at a time when the market doesn’t know what to do. Windows Phone 7 is supposed to be Microsoft’s answer to modern touch interfaces. It was developed by Microsoft’s underrated Zune team from the ground up, and has a unique and imaginative new interface, but Microsoft is holding it back. We have yet to see a Windows Phone 7 tablet or any new WP7 devices since its launch in November. Instead, at CES and since, Microsoft has been touting Windows 7 as the platform for touch PCs, tablets, and devices of all kinds. 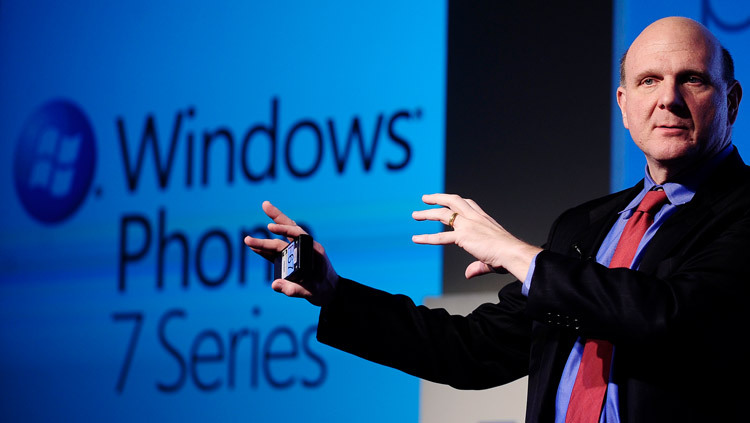 While CEO Steve Ballmer says MS is behind WP7 on one hand, his actions are undermining it on the other. WP7 is a beautiful OS that could run tablets and other devices wonderfully. It would be nice if Microsoft would tap its full potential instead of trying to shove Windows 7 into most touch devices. Call it a comeback or call it a long-standing diabolical plot by Steve Jobs to eventually destroy Microsoft and take back the computer throne by reinventing computers themselves, but like it did in the late 1970s to mid 1980s, Apple has completely changed the game. Unlike Microsoft, which has long been content to sit on its pile of money, Apple has been on a quest to change computing for the better. It began with the iPod a decade ago, which bred the iPhone, which gave way to the iPad last year. Apple is completely leading the consumer electronics world right now, from a sales and mental standpoint. Though HP was the first to announce that it is bringing its webOS to the desktop, Apple even foreshadowed that idea, as it began bringing some of the lessons its learned from the iPhone and iPad back to the Mac. The Mac App Store is the first small example of iOS infiltrating Apple PCs, but a big change is coming to Macs as well. The world is shifting under Microsoft’s feet. In just a year, its dominant Windows 7 OS has gone from looking like a mammoth success to appearing as yesterday’s news. Sales don’t reflect it yet, but if Microsoft wants to hold onto its place in the market, Steve Ballmer may want to re-read the departing memo of Ray Ozzie, his former chief software architect. In it, he talked about how complexity kills, and the ever connected future ahead of us. He foresaw a post-PC world and explained what Microsoft will have to do to stay relevant. Unfortunately, we don’t yet know if the company is heeding his wisdom. Hopefully, a connected, forward-thinking Microsoft is still ahead of us.